This will cheer you up: the top dogs of the moment driven by two of the top showman in the business. 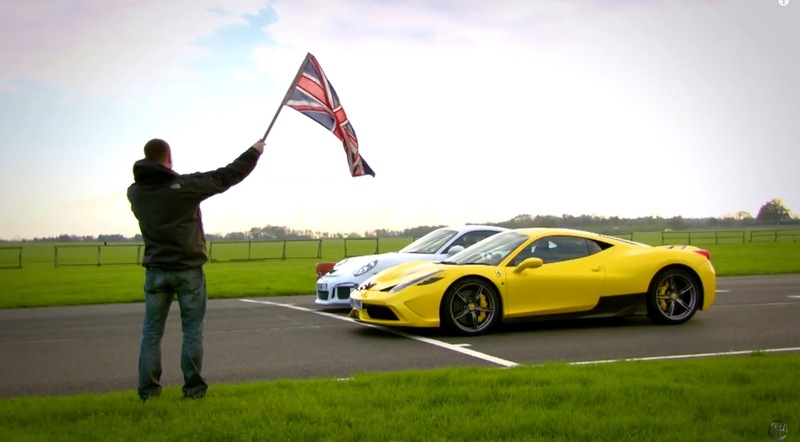 458 Speciale vs 911 GT3, Needell vs Harris for Fifth Gear. As much pain as they were in, Jules folks did the right thing. Jules is in another place, with his foot on the throttle, and a smile on his face! I'd still take the GT3..
do you think his parents took him off life support? I don't know why this one hit me so hard, I wasn't his biggest fan but he did have a lot to look forward to, Fly fast, JB. his manage was Nicholas Todt. When I saw he died on the 17th , his racing number, I had the same thought. His father's statement last week makes more sense now. Why they didn't do this with the GT3RS? I asked myself the very same question whilst watching it.. i have no doubt the RS would have won. Ferrari commonly use extra power to overcome the cars shortfalls. You could clearly see how messy the car was handling especially under power and braking. Same here, I never heard him whine, he never instigated anything stupid, and was a promising prospect for a great sport. Yes, but I also think that the problem with this video is that it is aimed to main stream audience, we have two superb "track cars" being raced on a mediocre track, poor surface quality and very small. Try the same cars at Spa for example and the result might have been very different. The Ferrari is a superb car, that requires a great amount of skills from its driver. It was clearly driven "slowly" in this video. The problem with these videos is that they are aimed to main stream, not to die hard drivers like most of us here. You could clearly see that the Ferrari was entering every corners too fast, missing the apex... I think if this had been a "serious" video the Ferrari would have been much faster. Nice video though, but I prefer watching Chris doing his own videos.